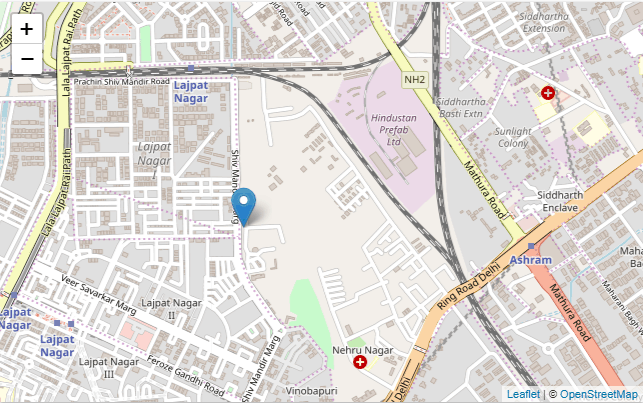 Stock Trading Courses in South Delhi. Are you new to the Indian stock market? Do you want to learn stock trading? Do you want to become a professional trader? If the answer to all these questions is ‘Yes’. 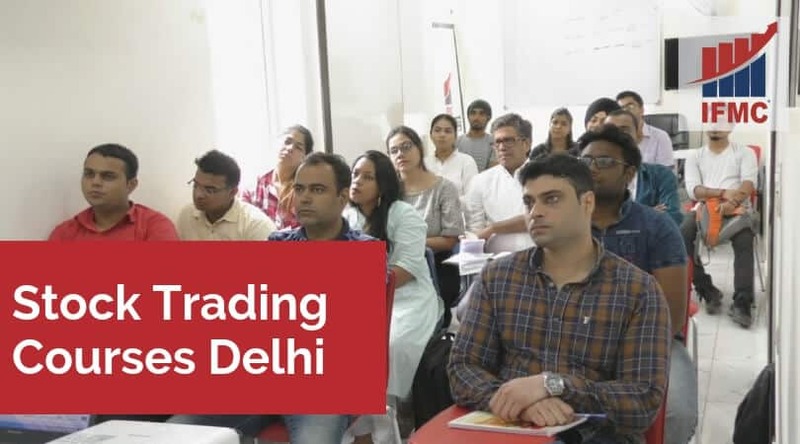 Then check out a useful list of top stock trading courses in Delhi. These days, investing and trading stocks, plays a major role in the business world. Those willing to enter the business world requires to acquire and upgrade their knowledge about the stock market. They should consider learning the stock market basics, approach, tactics, and managing process. What is the best way to make profits in the stock market? How can I maximize my returns by investing in shares? There’s a ton of information on the internet to learn stock trading during live market. Indeed many of us are interested to get an insight. The majority of them fall into a category who are fascinated to enter the Indian stock market, immediately, wants to know everything inside and out. For generations, scholars have used books as a source of gathering information. By the end of the 20th century, with an advancement in the information technology sector, the way people start acquiring knowledge revolutionized. Are you a stock market beginner and planning to dive into? If yes, read these golden rules to invest in the stock trading. Start with understanding the basics of the stock market. Before you dive in so as to set a day trading price targets. Enter the market while the demand and supply are imbalanced. Don’t lose your patience, always look for opportunities for better share trading. Start with investing a small amount that has a smaller risk even if an investment is huge numbers with attention to trade on the days when you can afford to lose. Don’t follow your friends blindly, in fact, use your knowledge to investigate before making any investment. Never invest too much capital in one trade. Master your skills and don’t indulge directly in the day trading. 10 NSE Modules covered in 1-year programme making you suitable to attain a higher position in Financial Market, Banks, Broking Houses, Mutual Funds, Kpo’s. You join as Equity Analysts, Tr. Research Analyst, Relationship Manager, CRM Technical Analyst, Fundamental Analyst. You can also become self-employed by taking Franchisee/ Sub brokership of Broking House. 100% job assisted and skill oriented course. You join as Analyst, Dealers, Trader, Advisor, Relationship Manager, Equity Analyst, Branch Manager. You can also become Self-employed by taking Franchisee/Sub brokership of Broking houses, AMC’S. You can also do self-trading. 100% job assisted and skill oriented course. 4 NSE Modules covered in 4-month programme making suitable for those who wish to enter the Stock Market, Financial Industry, Bank, Broking houses, Mutual Funds, Kpo. This is a beginner programme. You can join in as Stock Market Dealer, System Operator, Options Trading or Support Staff. You can also become Self-employed by taking Franchisee/Sub brokership of Broking House. 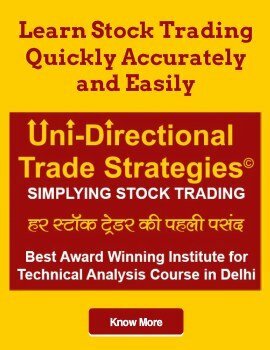 (Intraday and Positional Trading Strategies) Unidirectional Trade Strategies (UDTS) the IFMC copyright content is one of its kind programs. 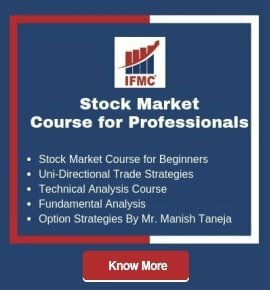 It makes IFMC different from other institutes as we not only teach trading techniques in real time. The program has made IFMC winner for “Excellence in Financial Market Courses 2018″. Stock Market Beginners programme is also available online and as the name suggests, it’s a beginner series programme. And all those who are new to this market can start with this programme. The course includes an overview of Capital, Derivative. Commodity, and Currency Market. The programme aims to give you fair knowledge of the market and gives you a quick understanding. 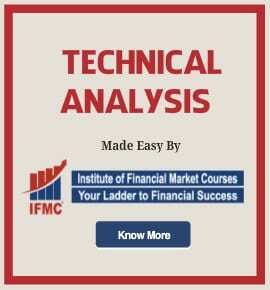 Technical Analysis course Delhi is one of the most sought programmes after module in Stock Market. Besides, this is a must know module for the investor, Trader and people working in the stock market industry. The course will give you the understanding to determine price movements in the stock market. This is a must do a programme for one and all working in the market. To get a job as a technical analyst one may need an NSE BSE NCFM/NISM certification. After completing the course, you can join portfolio management, financial services, broking houses etc. Fundamental analysis online course is an interesting topic and is the technique of forecasting the stock price by studying various factors that are affecting the intrinsic value of the stock. We also take into account various other factors like data news and event that affect the price of the stock.